Whilst the Sunday Group members walked along the prom from Seacombe to New Brighton I had a firkle along the shoreline. 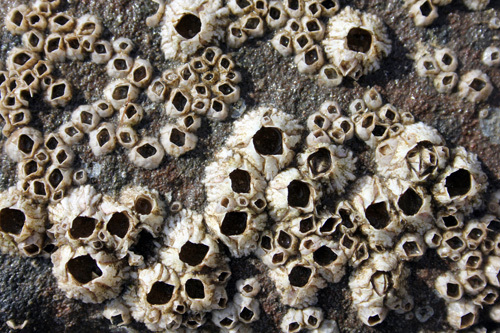 Barnacle species included Semibalanus balanoides the most widespread intertidal barnacle in the British Isles. It has six calcified grey-white shell plates and a diamond shaped opercular aperture. There were plenty of Common Periwinkles Littorina littorea and a few White Piddock Shells Barnea candida  despite its fragile appearance this bivalve burrows into soft rocks on the lower shore. A dead female Shore Crab was lying on her back in the sand. 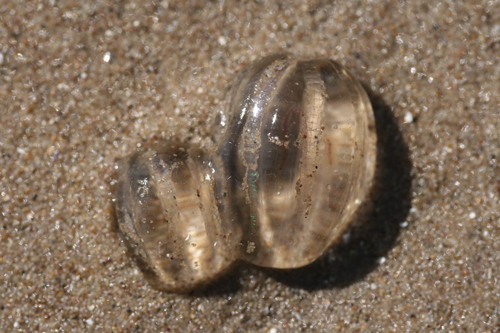 I counted around 45 Sea Gooseberries Pleurobrachia pileus washed up on the shoreline  these Comb-jellies or Ctenophores are roughly spherical gelatinous masses, around 2cm in diameter and have eight rows of comb-like plates with tiny cilia along their sides. There were a number of Sand Mason Worms Lanice conchilega. 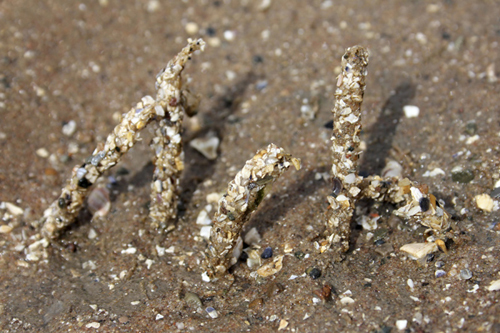 These burrowing marine polychaete worms build a tube out of sand grains and shell fragments which projects out of the sand. 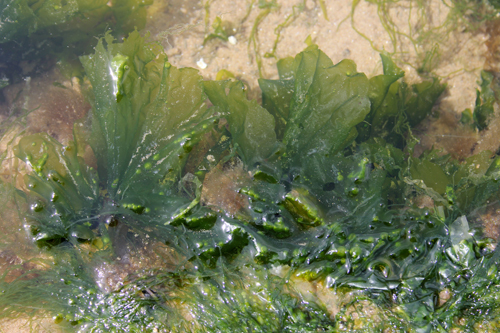 Lush fronds of Sea Lettuce Ulva lactuca was floating in the sandstone rock pools. 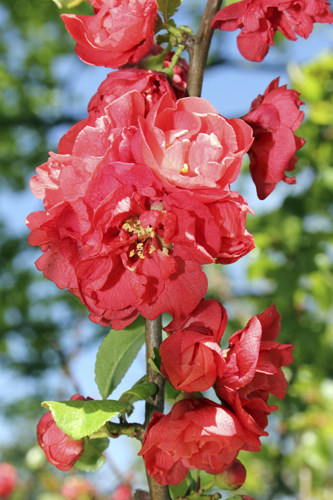 Like its name suggests it is edible and contains a variety of vitamins and minerals, especially iron.